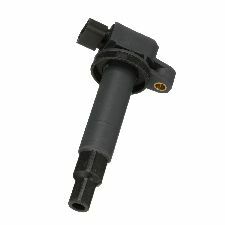 We stock Ignition Coil parts for most Scion models, including FRS, iA, iM, iQ, tC, xA, xB, xD. 100% pure copper windings in primary and secondary bobbins improve durability and provide higher resistance to internal shorts and dielectric breakdown. 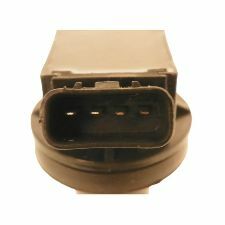 Electronic ignition module profile and feedback signal ensures proper OE fit, form, and function. Thermoplastic housing withstands heat stress for enhanced durability. Internal core made from grain-oriented electrical steel limits loss factor within magnetic circuit to reduce heat that may reduce coil endurance. External core made from oriented silicon steel ensures durability and longevity. Stainless steel spring resists corrosion. Tin-plated brass terminals improve electrical contact and protect against corrosion. High-dielectric epoxy injected into case and pulled into vacuum to eliminate air pockets and prevent moisture intrusion or thermal breakdown. 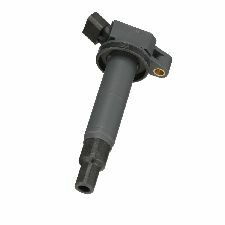 Our Coil-on-Plug assemblies are manufactured from the finest components for optimum performance and a long service life under all operating conditions. Neodymium in the core creates the strongest magnetic field and produces max high voltage output at all speeds. High dielectric epoxy is injected into the case and pulled into a vacuum to eliminate air pockets and prevent moisture intrusion or thermal breakdown. Our reinforced bobbins prevent voltage flashover for an extended service life. 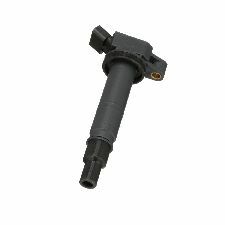 As a tier I manufacturer with engineering and design capabilities second to none, our ignition coils are made to the highest quality standards. As a global manufacturer of original equipment ignition products, we maintain complete quality control throughout the manufacturing process from componentry to finished product.